What is Pantothenic Acid (B5)? 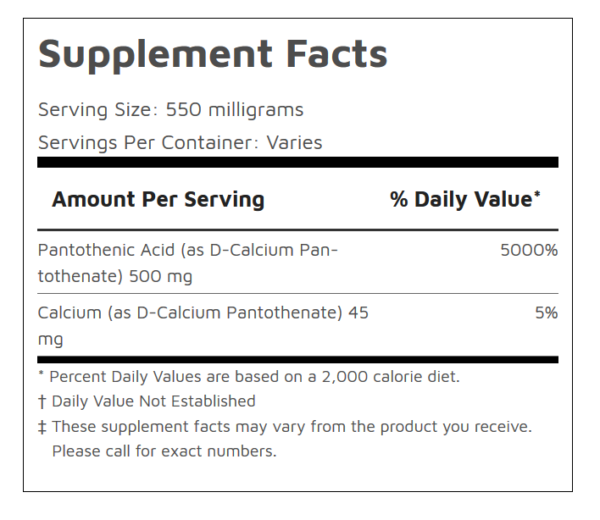 Also called pantethine, this supplement is a form of vitamin B5. As a supplement it’s primarily used for energy since B5 deficiencies are rare. 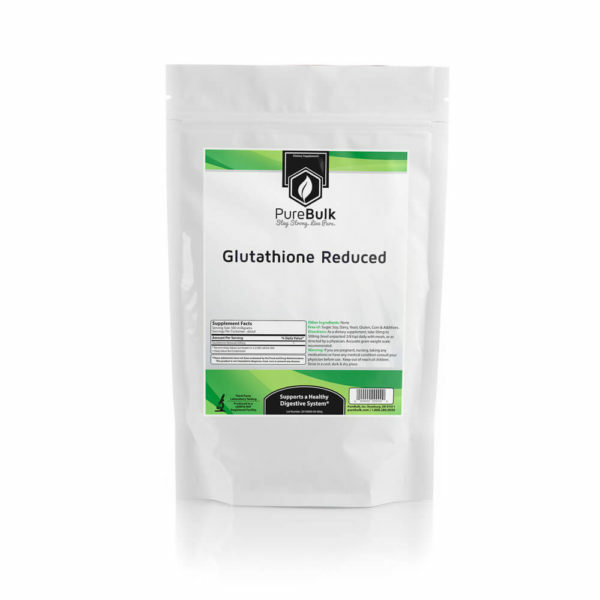 Pantothenic acid promotes healthy energy metabolism as it is used in the formation of Co-enzyme A. 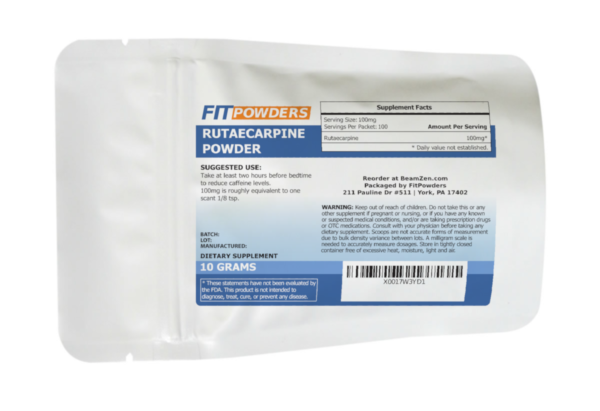 This supplement may also promote healthy cholesterol levels. 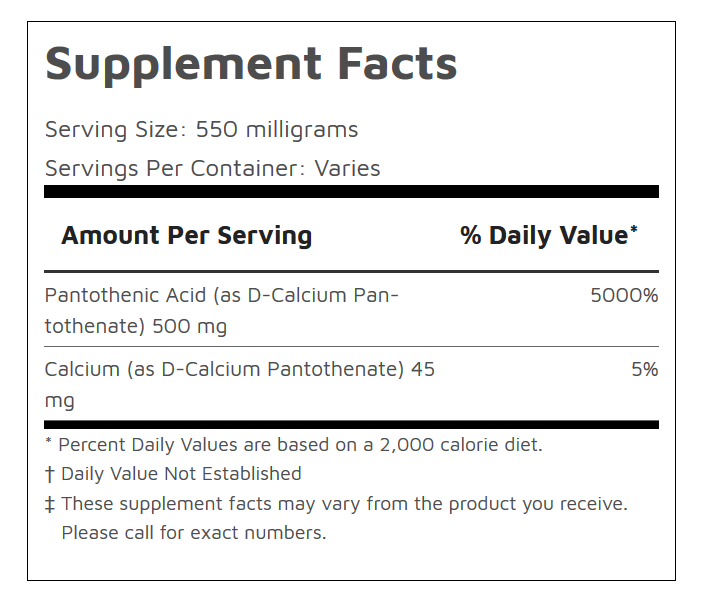 Take 550mg of Pantothenic Acid once daily as needed.